How do I grade a graded discussion in SpeedGrader? 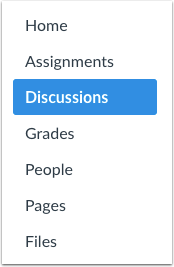 You can grade and provide feedback on graded discussion submissions in SpeedGrader. Discussion replies will display individually, but the replies can also be viewed in the context of the full discussion in SpeedGrader. 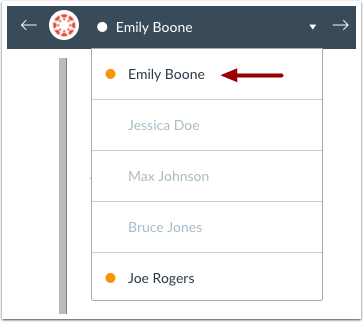 Graded group discussions can be graded as group assignments in SpeedGrader. Note: You will not be notified in the Gradebook of additional posts to discussions after a grade has been entered. Click the Options icon  and then click the SpeedGrader link . View the student's discussion replies. Older replies are listed at the top with newer replies listed below. To view the discussion replies in the context of the full discussion, click the view the full discussion link. To enter a grade for the submission, enter the grade in the Grade field . 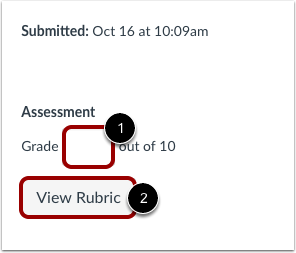 If you added a rubric to the discussion, you can view the rubric by clicking the View Rubric button . Previous Topic:How do I grade one quiz question at a time in SpeedGrader? Next Topic:How do I connect to web services outside of Canvas as an instructor? Table of Contents > SpeedGrader > How do I grade a graded discussion in SpeedGrader?